Among the most nutritious of berries, Black Currants (Ribes nigra) were once a forbidden fruit in the United States. The berries were susceptible to hosting a fungus that killed white pine trees and were banned for that reason. 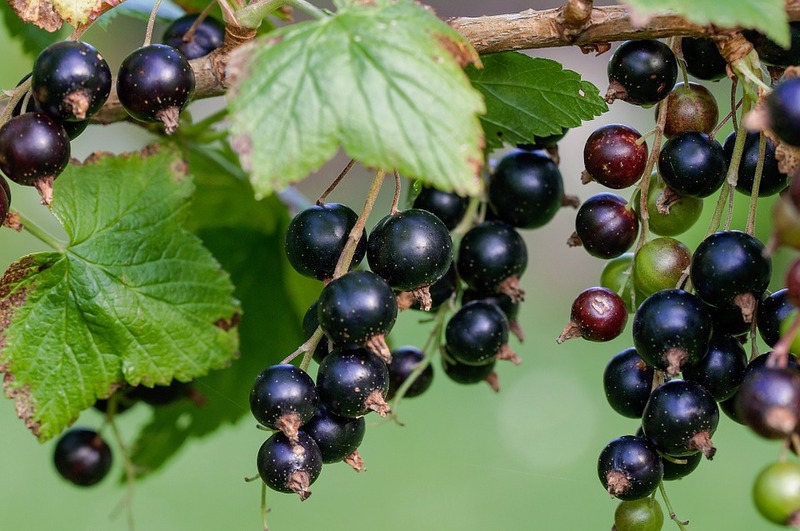 Fortunately, pines have made a comeback—and as the ban on black currants didn’t seem to make much of a difference to that comeback, black currants are now being grown in the U.S. and their health benefits are being rediscovered. Important compounds and micronutrients found in black currants include antioxidants, vitamin C and gamma-linolenic acid (GLA). GLA is an essential fatty acid also found in borage oil and evening primrose oil. GLA works as an anti-inflammatory and has been used in managing several autoimmune disorders, as well as health conditions where inflammation plays a significant role. One of the most fascinating and potent aspects of black currants is their pigments, or anthocyanins. A concentrate of these were found to actually halt the progression of glaucoma. In a small double-blind study, glaucoma patients were split up into two groups: a control group, and a black currant-anthocyanin group. In the years leading up to the study, both groups’ glaucoma steadily worsened, despite regular medical treatment pharmaceutical treatment. Once the study began, the glaucoma of the control group continued to decline—but the berry-eaters saw the progression of their glaucoma actually stop. What’s more, these results held up two years later. The study arm subjects took 50 mg of concentrated black currant anthocyanins (about 9 g of currants), almost 1.5 tablespoons. For nutritional supplementation, black currant is available in tea blends, oil, pill and capsule form, and the research listed above was in capsule form. Black currant extracts and derivative oils can impair blood clotting, produce soft stools and mild intestinal gas in some people. be sure to check with a holistic health provider before adding a black currant supplement to your health regimen. A perfect way to sneak some dried currants into your kitchen medicine cabinet is with this wonderful recipe for a currant-apple and muesli shake. Or if you’re in the mood for something a little more hearty, try my Worcester winter veggies with currant-studded bulgur.